No friends, no texts, no nothing. In Morocco, Wander just wants a solitary birthday walk. Instead, two strange trees lead the lone traveler to the ultimate journey. Marooned in a scarred world both different and familiar, Wander tries to make sense of an Ireland that has no Internet or Guinness, but abounds with odd companions. Wander falls in with Awen, a mysterious old woman, and Faddah Rucksack, a bewildering ragged man. He's as out of place as Wander but must confront past mistakes and a shadow threatening the future. The unlikely trio undertakes a difficult adventure of the road—and the heart. Their only path is a place none travel: the Black Road that remains after a world-altering catastrophe. 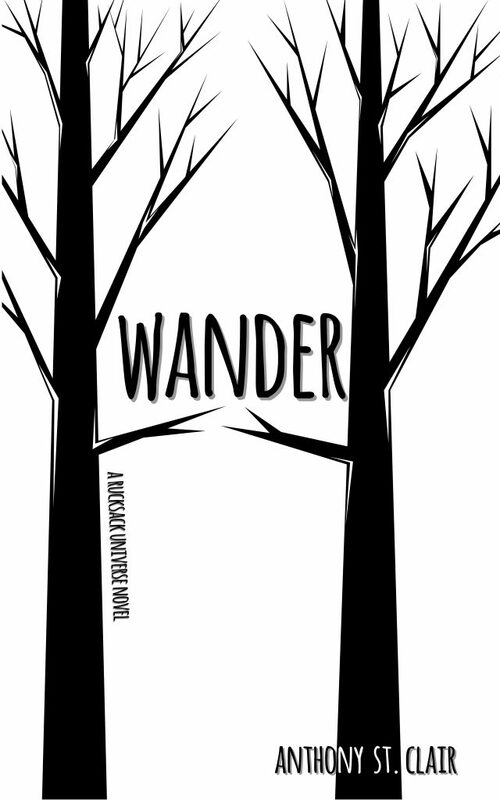 From a surprise in the Irish Sea to England's Black Cliffs of Dover, Wander confronts the promise and peril of seeking home when your heart is caught between two worlds. Anthony St. Clair creates compelling fiction and non-fiction for a curious world full of everyday discoveries, endeavors, and surprises. Anthony has published hundreds of articles about craft beer and other beverages, food, business, travel, and more for print and online publications. Online content is harder than it looks. Anthony provides writing and organizational expertise based on 20 years of content management experience.